While we’re on the verge of Captain America: Civil War, we already know what the next steps in the Marvel Cinematic Universe will be. What we don’t know is how all of our favorite characters will fit into it. With several Marvel contracts coming to an end, the question of what will happen to Steve Rogers becomes a real question, not just for story reasons, but for practical ones. The Russo Brothers have confirmed that the next step for Captain America will be in Avengers: Infinity War and while it looks like the Captain will likely continue forward from there, it’s not clear Steve Rogers will be the one with the shield. Throughout the history of Captain America in the comics, the mantle has been worn by numerous different people. HeyUGuys asked the Russo Brothers if a switch like that could occur within the Marvel Cinematic Universe, or if Chris Evans will likely continue to be Captain America for the foreseeable future. 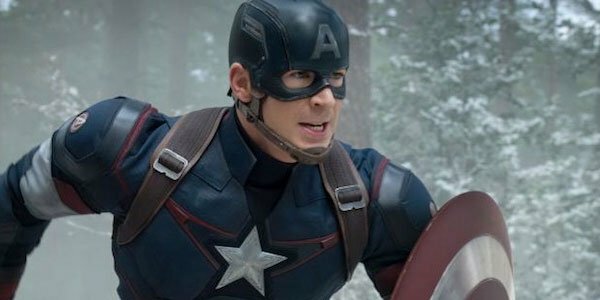 The Russo’s answer seems to confirm a future for Cap, but they never actually used Chris’ name. We are moving into a phase now in the storytelling where, when we bring Captain America’s story forward from Civil War, it’s going to be into Avengers: Infinity War. That’s the next chapter, so to speak, in his specific story. And there’s been no talk about where we go beyond that, yet. The choice of language here may not mean anything, but it could also be quite deliberate. We have no idea what happens to Steve Rogers at the end of Captain America: Civil War, and so by specifying that the next chapter for Captain America and not Chris Evans, will be in Avengers: Infinity War they could be saying that Steve Rogers is already on his way out. Looked at from a different perspective, the fact that nobody has discussed where to take the character after Infinity War could mean that it could end up being Steve Rogers' last stop, if he actually makes it that far. For his part, Chris Evans has said he’s willing to do whatever the story requires of him. He seems to be enjoying playing the part of Captain America, and sounds like he’ll continue to do so if asked. The fact that he’s even willing will certainly play a part in Steve Rogers eventual fate. Check out the Russo Brothers' statements below and see what you make of their answers. What do you think? Are Steve Rogers' days numbered, or will he be Captain America until Chris Evans gets too old to throw the shield? If there is a new Captain America, who do you think it will be? Weigh in below.